Ridvan Greetings to the readers! This is a story of how a simple village girl, from humble beginnings, was blessed beyond measure and eventually gained true wealth. I was born in Poblacion Rosales town, in the district of Pangasinan in the Philippines. My father owned his own shop and worked as a bicycle mechanic, carpenter, black smith, and repairer of various machines and tools. To me and my siblings he was our best friend and the source of inspiration in an environment of simple life. He loved and cared for us so much that we even forgot the difficulties we faced in life, especially the passing of our mother. Dad had a good sense of humor that kept us giggling. He was open minded and ever ready to discuss and share his thoughts about religion and other topics. We were lucky that his ideas about religion was very similar with the Bahá’í Faith. When I was a child, I witnessed a group belonging to a religious sect visiting my father. They tried to convince him to join them. My father told them, “I believe that there is only one God, one Jesus Christ and one Holy Bible. I don’t want to belong to any religion that is against the other religions. So far, all are my friends and I have no enemies.” Although we were Christians by belief, we were quite liberal. My mother was a seamstress who worked very hard to support the family of four children. I was the youngest. She passed away when I was one year and nine months old. I was told that my mother was a devout Catholic. We had a very difficult childhood without her. We later moved to the village of San Joaquin near the town of Balungao in the district of Pangasinan. Since childhood, I have loved to pray, and not a day would pass without my beseeching Lord Jesus to guide my family towards unity and better living conditions. This prayer was surely answered. I heard the word Bahá’i from my fellow villagers during the later part of the 1960s when Bahá’i travel teachers visited our village. During my break from University Pangasinan in February 1972, I came home and was cleaning and dusting our house when I found the book ‘The New Garden’, which apparently was presented to my elder sister Nelly by a Bahá’i by name of Ms. Presca Ugay Anunsacion After reading that she had embraced the Faith, but did not tell anyone else. She left for Guam in 1968 to join our aunt living there. When I read the book it was so interesting that I completed the book and shared what I was reading with my father. I knew that this is the Religion that he was looking for. When I shared the content, he commented; “I agree with the teachings of Bahá’u’lláh, as I too share the same idea”. In the last chapter of the book, it explains about signing a declaration card to become a Bahá’i. I asked my neighbors to tell me who are the Baha’is in our village. I was informed that the key believer was Ms. Zenia Macaraeg. I went to her home and asked for a declaration card. She happily gave me one and I signed up on 27 February 1972. Ms. Zenia was very happy and gave me a big hug. I myself posted that card to the National Bahá’í Centre in Manila. A few days after posting the card, I received a welcome letter from the National Spiritual Assembly followed by the first lesson of the Correspondence Course about the Bahá’i Faith, which I studied with enthusiam. I answered all the questions and memorized the prayers included in the lessons, and scored very high marks. I completed the Correspondence Course with much joy over learning the basic teachings of the Faith and memorizing many prayers. A few months after embracing the Faith in 1972, I was elected as a delegate to the National Convention. At this time I was facing opposition from some of my family members and relatives. They criticized me in the strongest language for joining a new religion. I prayed very hard and was depressed. My knowledge of the Faith was not deep enough to withstand the onslaught. 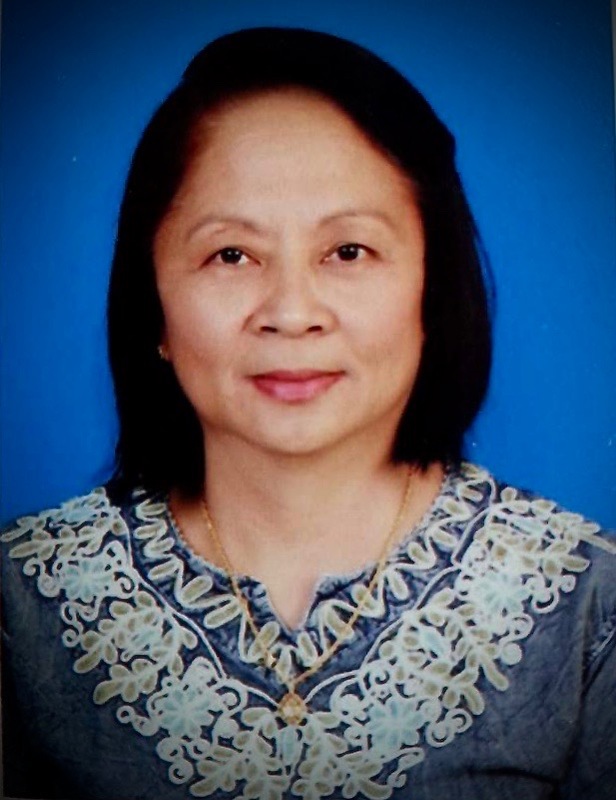 In a few days Ms. Presca Ugay Anunsacion came to visit us, and she heard of my story. She lent me her Bahá’i Prayer book. She encouraged me to say the Tablet of Ahmad for protection and to be enabled to attend the National Convention for the first time. I read the Tablet of Ahmad in the dead of the night in secret. 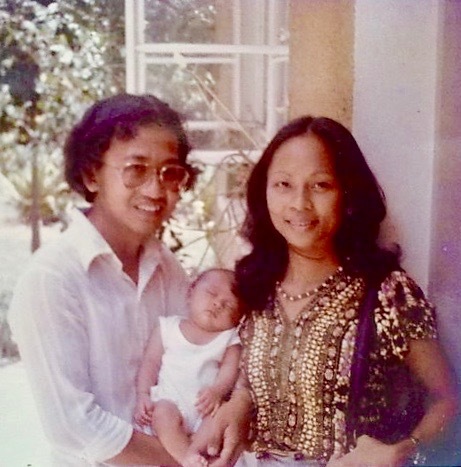 With my father’s permission and support, I traveled to the National Bahá’í Center in Manila and attended the National Convention to elect national delegates. It was a completely new learning experience for me. It was overwhelming for me to see so many Bahá’ís from all over Philippines and from around the world. I saw several Bahá’ís from the Persian background. Seeing many more wonderful people from various background, I felt happy to have accepted this religion. What was a shocking pleasure was witnessing a non-political, but completely a spiritual atmosphere during the Convention. There was not even the slightest indication of any canvassing or mentioning of names. At the close of the Convention, there was a call for travel-teachers. I volunteered to join the teaching team for a week. 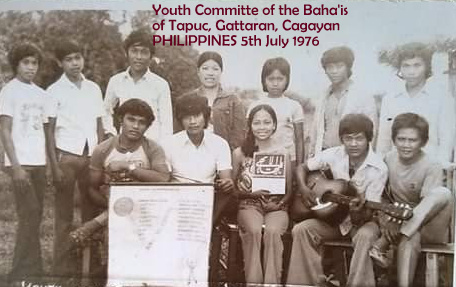 In early 1974, I joined another Bahá’í Teaching Team, that traveled to many Provinces in the north of the Philippines and other areas. At the National Convention in 1975, names of the newly appointed Auxiliary Board Members was announced. I was shocked and humbled in tears when my name was included. I simply felt that I was not ready for the unknown and heavy responsibility. I prayed hard to be guided to discharge my new duties. I then had the bounty of meeting with the Hand of the Cause of God Dr. Rahmatullàh Muhajir in the Philippines at two Bahá’í Conferences. He gave us newly appointed Board Members all the encouragement and guidance needed to serve the Cause in the capacity of Board Members. Dr. Muhajir was such a strong force in my life. His passion for teaching and promotion of the Faith was so dominant within him. He clearly made Bahá’u’lláh the Center of his life, and lived for the Faith alone. Further, the constant encouragement and loving guidance from Counselor Vicente Samaniego helped me carry out my responsibilities as an Auxiliary Board Member with greater confidence, courage, and strength. Vic Samniego was such a radiant soul, always with warm smiles. In him I saw utter humility. 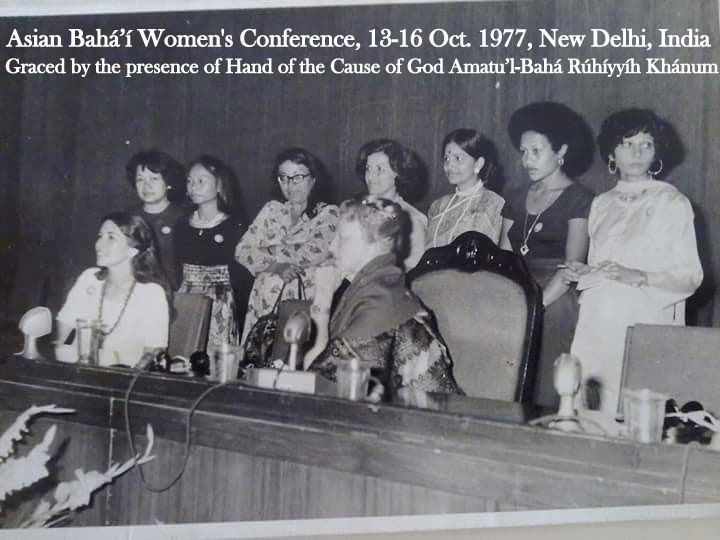 The first time I left Philippines was to attend the Asian Bahá’í Women’s Conference in New Delhi, India from 13 to16 October 1977. After the Conference, I attended the laying of the cornerstone of the Bahá’í House of Worship by Hand of the Cause of God Amatu’l-Bahá Rúhíyyíh Khánum on 17 October 1977. This was a very moving moment for me. The conference opened my eyes to the important role the Bahá’i women had to play in the destiny of the Faith. I took the opportunity to travel teach with a Teaching Team for a month in the eastern part of India, visiting Cuttack, Kolkata, Rourkela and Bhubaneshwar in Odisha District. It took us two days to travel by train from New Delhi to our destination in Cuttack. It was a totally new experience for me coming from Philippines, to serve in India; different cultures, traditions, and ways of life. The teaching trip in Rourkela lasted 8 days. We visited several Women’s Clubs and Schools to proclaim the Faith in the area. At a Church in Kolkata, we met Mother Teresa and listened to her sermon about the Love of God, love of the family, love and unity of humankind. 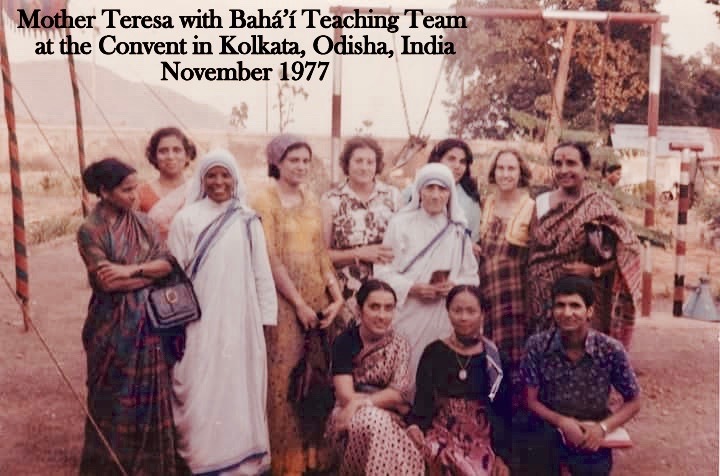 At the Convent’s front yard, people lined up for her autograph, while I stood somewhere in the corner praying and wondering how to present the Bahá’i book ‘The Bahá’i Faith’ by Gloria Faizi to Mother Teresa. Just then she noticed me and with a gestured of her hand, called me towards her. As I approached her she asked; ‘Do you want my autograph?’ I answered meekly, ‘Yes please, and I also want to present you with a book which is also about love and unity that you just talked about in the Church. She then signed on my prayer book and I respectfully handed her the Bahá’i book. With deep humility, she received the book with both hands and said; “I am going to read it”. I was overwhelmed with joy and gratitude to God for answering my prayer instantly. On November 23, 1977, I left India. Since my flight was stopping over at Bangkok, I accepted an invitation from Thai Bahá’í friends, to travel-teach in Thailand. The National Spiritual Assembly of Thailand asked me to conduct a 9-Day Institute in the South, followed by a teaching campaign. While there, I visited villages, schools, and universities. In three weeks’ time, I picked up the Thai language and was able to convey the Message of the Faith in simple Thai. In Khauchieson town, we conducted children’s classes every night for a week for about 60 to 80 children and adult observers. After the children’s classes were over, we taught the Faith to the adults. In this locality 8 adults embraced the Faith, including 3 policemen who were initially critical about our meetings during our first few days. It was a blessing to witness 20 souls who accepted the Faith in one month of travel teaching. 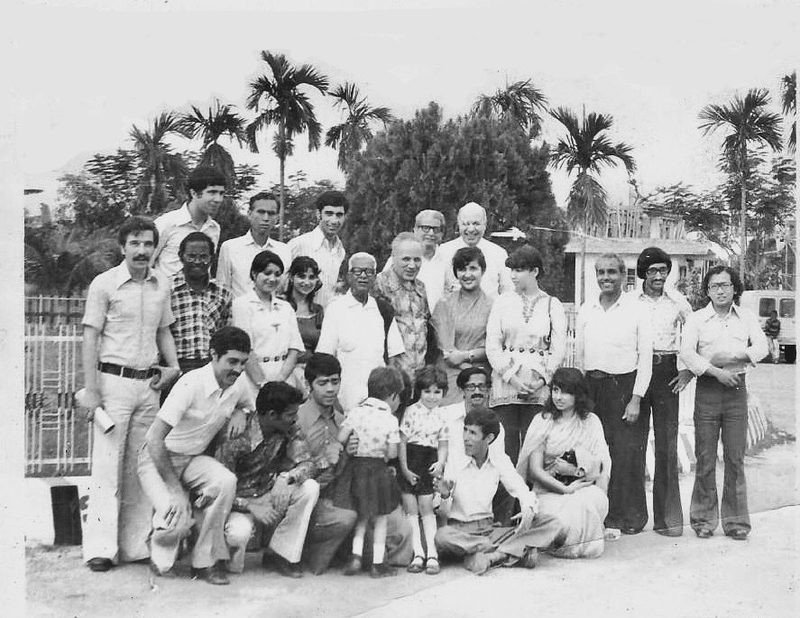 In December 1977, I attended a South East Asia Bahá’i Regional Conference in Singapore. After the conference, I returned to Philippines. While I was in the Philippines, Hand of the Cause, Dr. Muhajir himself, sent a telegram to me through the National Spiritual Assembly of the Philippines, advising me to pioneer to Thailand. Responding to the call of the beloved Hand, and with the loving support of the National Spiritual Assembly of Philippines and Counsellor Vic Samaniego, I took up the service. Before I left I had a heart-to-heart talk with my father. I had to tell him that I was going to be in another country and it may even be a journey of no return. I said that if I were to die overseas, I have to be buried in that country according to Bahá’i laws. He was very sad, but respected my desire to serve the Cause abroad. I arrived in Thailand on 16 August 1978 and served the Faith for a year and three months. I was sent to Yasothorn district in Northeast of Thailand. I stayed at the Bahá’i Centre next to Santithan School. 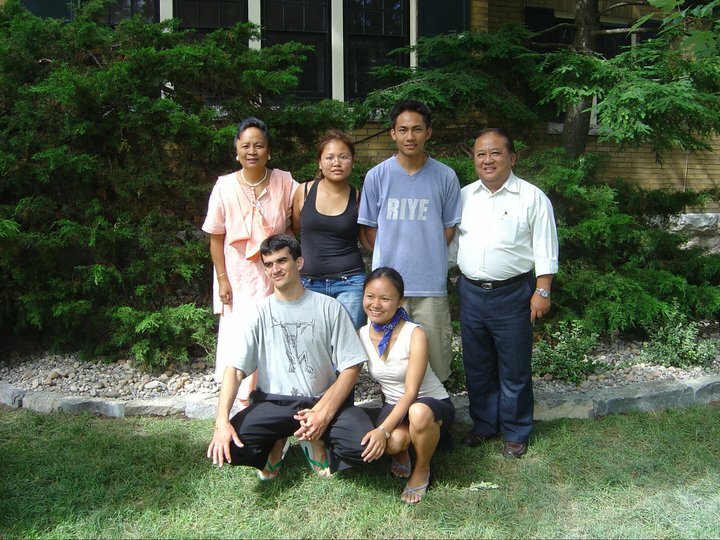 I had the bounty to serve at the Lao and Cambodian refugee camps where many refugees had embraced the Faith. There were also existing believers who fled from their countries during the period of political turmoil. The Bahá’i population was so strong that they built their own Bahá’í Centre at the refugee camp. In Haadyaai and other places in the southern part of Thailand, I had the bounty of serving the Faith with the local believers and visiting Malaysian Bahá’í friends. We would visit villages and sometimes I was asked to interpret for them. During one of the teaching trips, we slept at the home of Pa Keaow, in Thung Mong Kwang village. When I woke up at night, I noticed Uncle Yankee Leong who was part of our team, raising his hands in prayer. I went back to sleep. After a while, I woke up again and saw he was still praying. I wondered if he slept at all. His talks were enlightening, filled with love, kindness, and humbleness. We were encouraged by his shining example of a true Bahá’i. He was such a humble person and highly saintly. I could see no trace of ego or self in him. 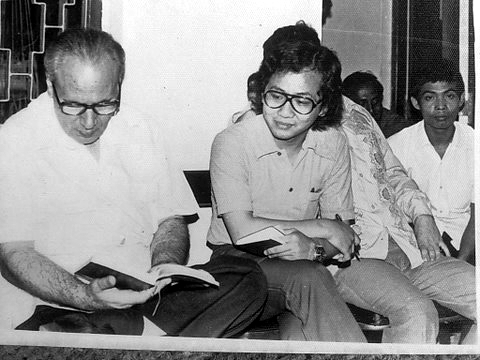 I am sure he was not only a gift to Malaysia, but by extension to the world-wide community as well. 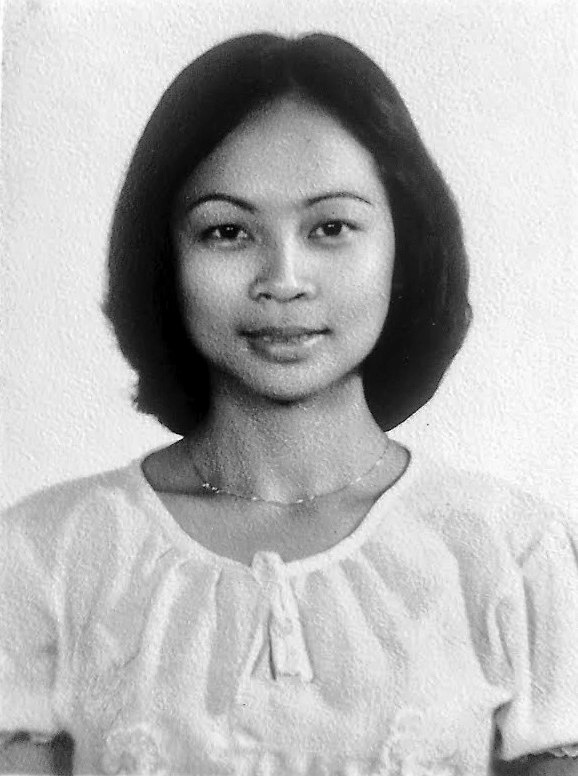 In March 1979, I went to Penang to renew my visa for Thailand. Just before this trip, I dreamt that someone proposed to me and said ‘I want to marry you’ and I had answered, ‘But you don’t know me’. I did not relate this dream to anyone. I was accommodated at the home of Aunty Lily Jansz. She became a motherly figure for me. I went to a wake in Bagan Serai town to say prayers with a Bahá’í friend who’s farther had passed away. At the gathering, a friend introduced us to a Chinese student-pioneer who had just returned from Bangladesh after completing a degree in veterinary science. He was introduced to me as ‘Dr. Sunny Lim Beng Joo’. I remembered him as a ‘curly-haired Chinese friend’ because it is unusual for Chinese people to have a naturally curly hair. In one of my next trips to Penang, I joined Aunty Lily and Sunny Lim to visit Bahá’í friends in the fishing village in Kuala Sungai Penang. When we were traveling back to her home in the evening, Sunny decided to stop at a restaurant to talk to me. The first thing he said was; “I want to marry you”. That was too sudden for me. Nervous, I smiled and said, “You don’t even know me well”. He answered, ” Knowing your devotion and service to the Faith is as good as having understood you’. I quietly told him ‘I would pray about it’. The dream I had had a few days ago flashed in my mind. Aunty Lily encouraged and advised us both, individually. Then I remembered that Mrs. Hourieh Saberi who was our host in Cuttack, Odisha, India, was going to the Holy Land on pilgrimage. She lovingly offered to pray at the Holy Shrines for me to marry a good person. 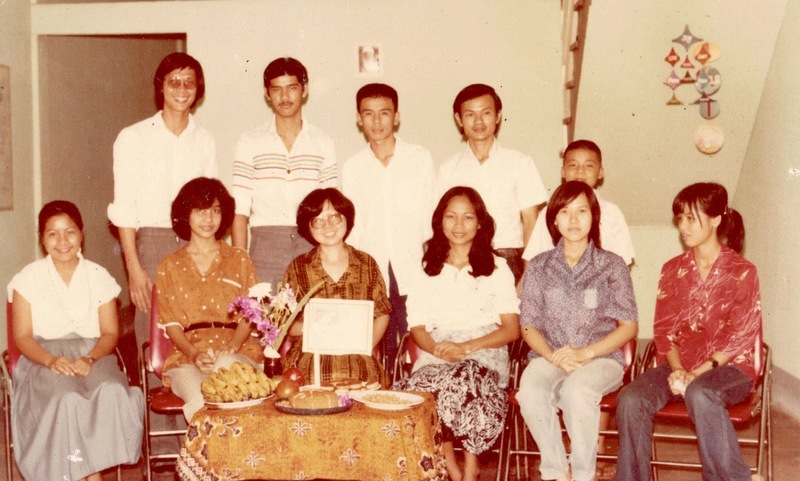 Later I participated in the Winter School at Port Dickson Malaysia in December 1979. I had to make this trip through Penang. The moment I arrived at Auntie Lily’s home in on my way to Port Dickson, she said, “Pina, you and Sunny are getting married on the 30th this month. So you better get ready.” I replied, “But I’m still waiting for my parent’s consent.” She smiled and said, “Our Assembly has received it.” A month earlier, I had written to Counselor Vicente Samaniego about my need to obtain parental consent. I learned later that he delegated an Auxiliary Board member to meet my father and obtain his consent for me to marry Sunny. The written consent was forwarded to the Local Spiritual Assembly of Penang. Sunny and I traveled with Aunty Lily Jansz and Doris Tan, a new believer, to Port Dickson to attend the Winter School. At the end of the program Counsellor, Yan Kee Leong called for pioneers. Sunny and I rose to pioneer to Tanzania, Africa after our marriage. That was to be our honeymoon- a honeymoon of a rare kind. 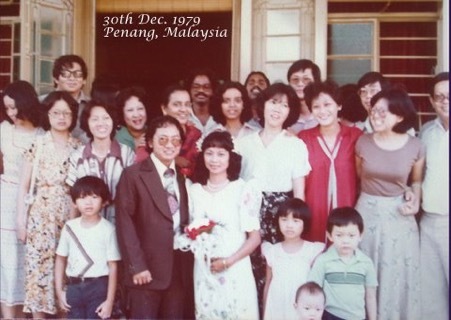 The Local Spiritual Assembly of Penang solemnized our wedding on 30 December 1979 at Aunty Lily’s home. At the wedding, we received the sad news that Dr. Muhajir passed away in Quito, Ecuador, a day before on 29 December 1979. We were sad but resolved to make Dr. Muhajir happy through pioneering in Africa. My marriage to Sunny Lim was clearly predestined. 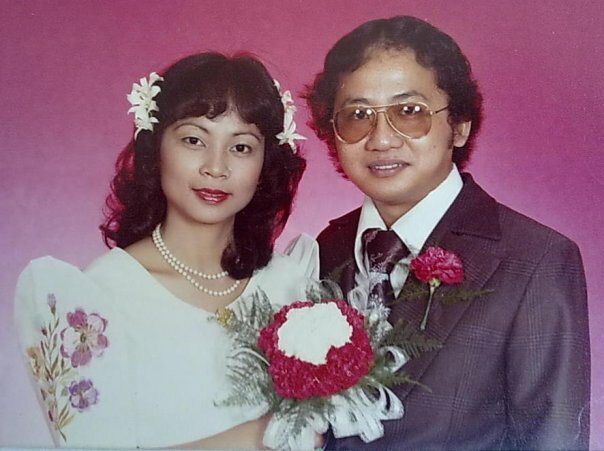 I went back to Thailand ten days after the wedding, then to my home in the Philippines to be with my family for two months, before leaving for pioneering. Sunny waited in Malaysia for my return so that we could prepare to leave for Tanzania. We left for Tanzania via Seychelles in June 1980. We spent two weeks on this blessed island with beautiful and lively people. We also enjoyed the warm hospitality of a Bahá’i couple, Bernard and Lydwin Renauld, with their lovely daughters: Shirin and Lyn. With a population of about 64,000 people at that time in Seychelles, it seems everybody knew each other. They said this country was blessed because they have engraved the Greatest Name on a rock at the highest mountain peak of the island. We were informed that there was only one murder committed in the past five years. The locals did not have to lock their houses, as it was very safe. To me, that place is a heaven on earth. In June 1980 we arrived in Tanzania. We tried to find a job and took the opportunity to visit the believers in many places. My tummy was getting bigger with our first baby. We traveled almost every day for teaching and job hunting, until the last few days before delivering my child, Nirvana, in December 1980. Job-wise, nothing happened in the seven months of our stay, but teaching and visiting the villages to meet the Bahá’ís, even in the very remote areas, was a wonderful experience. Within a short period of time, I was able to communicate and teach the Faith to the local friends in Kiswahili. We stayed in Tanga City. Sunny and I went to a remote village to visit Mr. Paul, a Bahá’í friend. We took a vehicle that traveled to the village once a week for a Government project. On the way, the vehicle stopped in a little town so all of us, including the driver, got down for dinner. When we went back to the vehicle our bags and provisions for a week had been stolen. Sunny and I consulted and decided to proceed as planned. We lost our belongings but did not want to also lose the opportunity to spread the message of Bahá’u’lláh in the villages. We stayed in the house of Mr. Paul and taught the Faith in the area for a week. Juggling the laundry demands of our limited clothing was difficult but that was balanced by the joy we took in serving the Best Beloved, Bahá’u’lláh. Our visa to stay had been extended due to a newborn baby. We continued to search for a job but without success and eventually the visa expired. The Pioneering Committee based in Kenya advised us to move to the nearest country. We agreed to go to Malawi. We moved to Malawi on 13 February 1981 and stayed in Blantyre. On one of the teaching trips, the bus broke down. It became so hot inside that the children started to cry and scream. My Nirvana was only four months old. I managed to give her some relief and bathed her in cold water. Our hope of settling in this beautiful place was also fading. Days and months passed while we were trying very hard, with limited means, to look for jobs. Sunny even hitch-hiked to the city while little Nirvana and I stayed at Limbe Bahá’i Centre. Our return ticket, valid for only one year, expired. Our financial means were stretched to the very last coin. My baby’s cereal needed some milk, so I collected milk bottles to trade in for a packet of milk, but still needed a few more cents. The baby was crying and I didn’t know what to do. Dispirited, I spontaneously started to clean the whole Bahá’i Centre. As I cleaned I miraculously found enough coins needed to buy milk. Who says God does not answer our prayers? Here He was answering my urgent prayers. Carrying my baby, I rushed to town and bought a packet of milk. A desperate lack of food and cash, and with a five-month-old baby, we had reached our limit. We left our life and destiny entirely in the loving hands of Bahá’u’lláh. “I lay all my affairs in Thy hand” was the constant prayer on my lips. Then Suzanne Locke, member of the National Spiritual Assembly and her husband arrived to offer us money. They knew we were in need of financial help. With that loving gift of money we were able to send a cable home, asking them to sell off Sunny’s car and send us the proceeds. When the money arrived we bought some food and provisions. We could see more smiles on our baby’s face. A pioneer’s life is not always a bed of roses. And yet it was for the love of Bahá’u’lláh that we endured everything we experienced. In moments of depression we turned to reading the Bahá’í writings that gave us the needed spirit to push on in life. One of the books that I enjoyed reading was the Seven Valleys and the Four Valleys by Bahá’u’lláh, and the passage that has been permanently engraved in my heart is this: A lover feareth nothing and no harm can come nigh him: Thou seest him chill in the fire and dry in the sea. It took eight long months before the job offer finally came. Sunny was given a government job as a District Veterinary Officer in Ngabu. This offer came with a working visa and a house to live in. We moved to a new home with the help of Bahá’i friends who gave us pots, pans and other utensils to settle down.We were not able to cook for 3 days as the new house did not have cooker. So we ate bread and the food that we brought from Limbe. I received a cable about the passing of my father on 21 December 1981. I was devastated, I was 6 months pregnant with our second child. 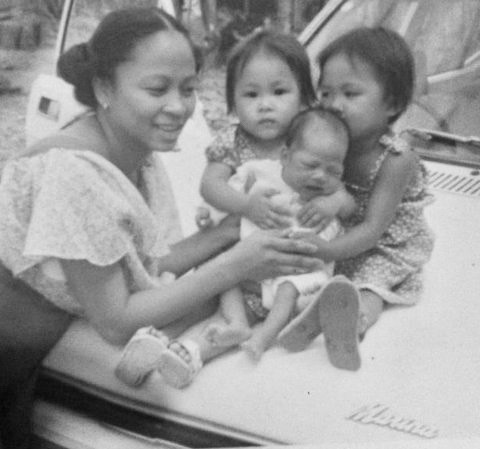 We were too far and unable to afford to travel from Africa to the Philippines. Sunny had only been working for 2 months. I grieved and mourned the loss of my father. I couldn’t concentrate on what I was doing. Two months later, our second child Choon Ai was born 1982 in Blantyre. The third one, Anis was born in 1983 in Chikwawa. During our two-year stay in the south, nine Local Spiritual Assemblies were formed; three communities built their own Bahá’í Centers on their own. Sunny was relocated to Zomba, Malawi and we continued the Bahá’í activities in the area for over two years until we left for Malaysia. Our teaching efforts in the area opened several Local Spiritual Assemblies. I was appointed to the National Teaching Committee and my husband was assigned to publish the Newsletter. We decided to visit our homes in the Philippines and Malaysia to introduce our children to our family. We left Malawi in April 1985 for a two-month vacation to the Philippines and Malaysia. We left Asia for Africa as a couple, returned to Asia as a family of five. While in Malaysia we desired to go back to Africa because Sunny’s job contract had been renewed. But his father fell seriously ill and so we could not leave. He passed away in August 1985. We did not have the heart to leave my mother-in-law while still mourning. Due to the urgent need to support the bereaved family, Sunny accepted a job offer in Malaysia, foregoing the job in Malawi, including our belongings and a car. I was devastated because I was hoping to go back to Malawi and be with those wonderful and high-spirited believers. My spirit was in Africa while only my body was in Malaysia. It was a very trying situation and it took me some time to reconcile myself to this new reality. We wrote to the National Spiritual Assembly of Malawi asking them to sell all our belongings and send the proceeds to the Bahá’i Fund. Yet our presence in Malaysia gave us renewed spirit and joy, as this is a very warm community with so many devoted and active believers. When I was sad about not being able to go back to Malawi, another door opened to us. My husband got a job with the Ceylon Grain Elevators of Prima Company in Sri Lanka in June 1986, with a 6-month probation. I wrote to the National Spiritual Assembly of Philippines and asked if we could fulfill a pioneering goal to Sri Lanka. We were once again privileged to serve as family pioneers. The children and I joined him on 16 November 1986. While in Sri Lanka we made a three-day visit to the Holiest Spot in Haifa, Israel. After three momentous days, we proceeded to Malawi, where we visited old friends and met new believers. Throughout our years of services in Sri Lanka Sunny and I had the privilege of serving in various capacities. I was on the Local Spiritual Assembly in Colombo from 1988 and served on the National Spiritual Assembly from Ridvan 1990 to 2007 serving as Treasurer, Assistant Secretary, and Secretary. I also served on the local and national committees, and as a Public Relations Officer for the Office of Public Information. I carried out my duties while volunteering at the National Office of the Bahá’i Centre. Sunny was appointed Auxiliary Board Member in 1988 and served in this capacity until we left Sri Lanka in 2007. We were lucky to be trained by Dr. Muhajir to view such positions in the Faith as avenues through which to serve the Cause, not to build power bases as is often seen in the world. Meanwhile, seven of us, including my husband attended the Holy Year in 1992, the commemoration of the Centenary of the passing of Bahá’u’lláh in Bahji. I attended the International Convention in 1993 and 1998. I attended the funeral of Amatu’l-Baha Ruhiyyih Khanum and then the funeral of Mr. Adib Taherzadeh in January 2000. My 3 children joined the other participants in attending the Opening of the Terraces on Mount Carmel in May 2001. 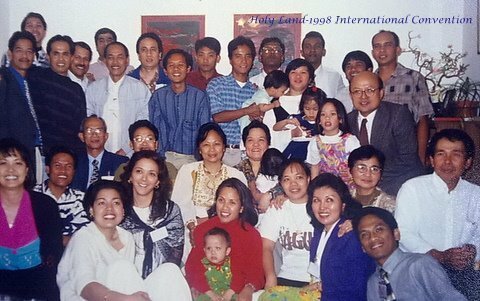 With the Philippino believers during the International Convention, 1998. In Ridván 2007 we had to pack our belongings to return to Malaysia after being in Sri Lanka for about 21 years. We went back to Penang. 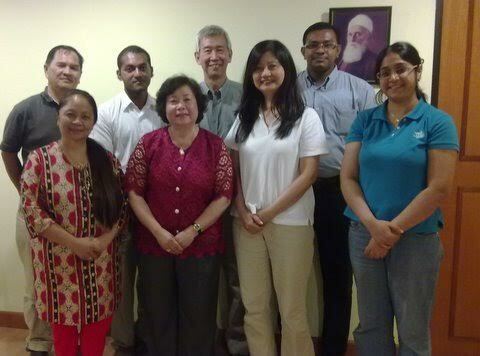 I served as a member of Local Spiritual Assembly of Penang in 2008-2009. We were always based in Malaysia but visited family members in Canada, Australia, and Philippines almost every year. We became permanent residents of Canada in 2016. At the time of this writing, we are in Canada where my daughter and her family live. Our children are grown, married and are all productive members of society, with families of their own. All our children embraced Bahá’u’lláh and His teachings when they turned 15. They remain devout and active Baha’is to this day. 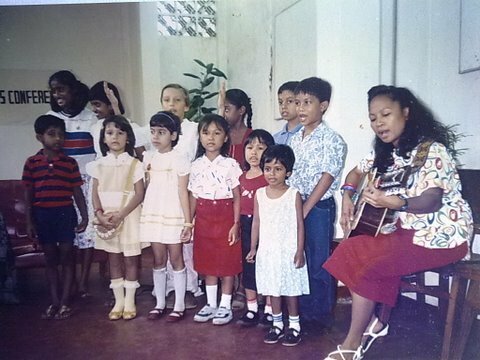 Back in the Philippines, my stepmother also became a devoted Baha’i. When I was pioneering in Africa most of my siblings became Bahá’ís on their own. At some point in my Bahá’i life, I found that I had attained great wealth. Up from desperate poverty I have become truly wealthy- with all the love of Bahá’u’lláh in my heart!